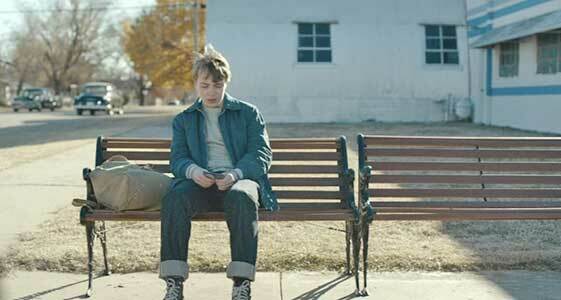 Ed Oxenbould wears black high top Converse “Chuck Taylor” All Stars in the film. Teenager Joe Brinson must deal with the impending breakup of his family . Wildlife is the story of the Brinson family back in the year 1960, and told mainly from the viewpoint of Joe Brinson (Ed Oxenbould), the teenaged son. His parents Jeannette and Jerry (Jake Gyllenhaal and Carey Mulligan) have recently moved to Great Falls, Montana where Jerry has gotten a job as the golf pro at the local country club. This is supposedly a step up for the family, and it means that Jeannette doesn’t have to work. Joe is struggling to be accepted at his new school, and has gone out for the football team, more to please his dad than himself, as mostly he sits on the sidelines. He has made one new friend, Ruth-Ann (Zoe Margaret Colletti), who seems to have a crush on Joe but their friendship is not at a serious or even making out stage. But overall the Brinson family seems to be living a normal, typical life. Then one day everything changes. Jerry is suddenly fired from his job at the golf course on a day when Joe is there with him. Apparently the manager thought Jerry was too good at his job, which somehow offended some members who weren’t very good golfers. He storms home with the bad news after stopping at the local store to pick up some beers. Ruth-Ann is Joe’s best friend. The news hits Jeannette hard. Jerry tells her that he will find something else but he doesn’t do much about finding a new job. The country calls back to offer him his job back, but Jerry refuses out of pride, not wanting to work anymore for people that don’t respect him. Eventually their marriage becomes strained as Jerry starts sleeping apart from her and spends a lot of time with local firemen who work for very low pay fighting forest fires in the mountains. Jeannette realizes that she must take matters into her own hands, and starts looking for a job as does Joe. By a lucky fluke, a job as a swimming instructor opens up at the local YMCA which she is qualified for and Joe is able to land a job as an assistant at a photography studio specializing in family portraits. This change suits Joe fine, as he prefers working where he can do something useful and learn a skill to being on the football team and sitting on the bench. Then one night Jerry tells his wife and son that he is taking a job as a firefighter. The job only pays a dollar a day, and means he must leave home and live in the firemen’s encampment near the fire for its duration. This decision angers Jeannette, and takes a toll on Joe, who is worried about his father’s safety, since he doesn’t have any experience. But Jerry is determined to go, and Joe watches sadly as he takes off in the back of a truck with the other firefighters. 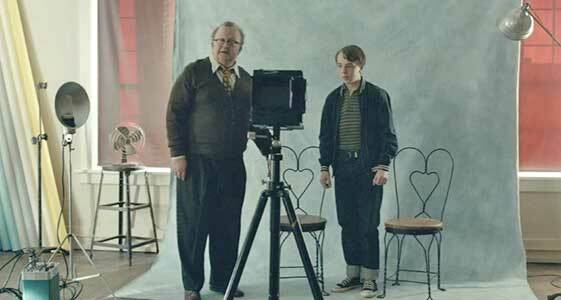 To help out family finances, Joe gets a job at a photography studio. After Jerry leaves, Jeannette begins to assert her independence. She discovers that she really likes being a swimming instructor and is successful teaching her classes. She confides in Joe about her unhappiness with Jerry, and even drives Joe up to the fire line where Jerry is staying to express her rage about her husband leaving her, although they do not meet or interact. Secretly she begins dating one of her students who is actually a lot older. Joe is somewhat left in the dust by her actions, which the viewer, like Joe, finds out about in small increments. The man she is dating is Warren Miller (Bill Camp), a wealthy widower who owns the Cadillac dealership in town. At first she tells Joe she is taking part time work at the dealership, but when he goes there to see her, she is not there. One day Joe comes home from school and finds Miller seated in their living room, having spent the afternoon with Jeannette. Another time Jeanette drags Joe along to a dinner at Warren’s home, where she drinks a lot of wine and drunkenly dances with Warren. Later Jeannette makes Joe sit in the car while she goes back and makes out with him. Warren ends up spending the night at the Brinson home, sneaking in after Joe is supposedly asleep, but Joe finds out. After Mr. Miller leaves the next morning, a shocked Joe confronts his mother about her relationship with him. Jeannette doesn’t come out with her true feelings other than to say that her affair with Mr. Miller will have financial benefits. Then she asks Joe if he has a better idea for what she should do, but he refuses to do so, still showing loyalty to his father. Jerry does return home a week later to a tepid reception from Jeanette, who tells him that she has taken an apartment in town. As he finds out what has been going on at his home from Joe, things build to a very angry confrontation with Mr. Miller. The film does take some unexpected twists and turns here, as it leads to a somewhat unexpected conclusion. 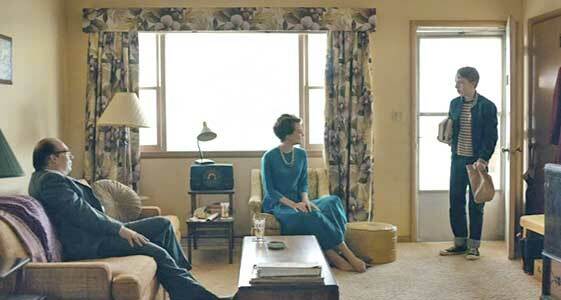 Joe comes home to find his mother with Mr. Miller. With its small cast of characters, and somewhat simple story line, Wildlife focuses on the individual characters of the Brinson family. Joe, played with a studious simplicity by Ed Oxenbould, seems the most even-handed of the three, somehow riding with the blows of his parents’ breakup, but always with a little edge of hurt and frustration on the surface. There is a certain irony that Joe takes a job in a portrait studio taking pictures of other families coming together for a special occasions while his is falling apart. Carey Mulligan gives a quite nuanced performance as Jeannette, struggling to be a homemaker in the 1960s, but realizing that her needs were way beyond that of a conventional housewife. Once Jerry leaves home, she struggles with her emotions — especially rage and feelings of betrayal, her obligations to Joe, desire for individual success, and her need for independence. This inner and sometimes outer turmoil is quite well expressed in her acting. We see the least of Jerry in the film, and he is the most difficult character of three to get to know or understand. Jake Gyllenhaal plays Jerry with what appears to be an easy-going exterior, but inside he has a very determined temper and sense of right and wrong that can explode at any time, or cause him to go out of his way to do what he believes is the “right thing”. 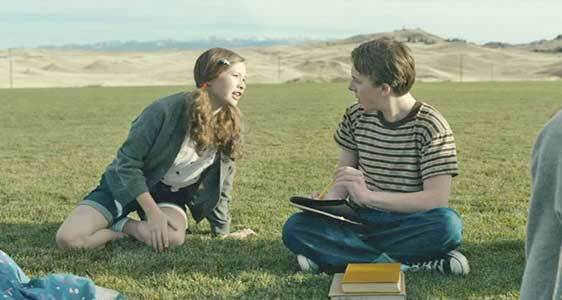 Director and co-writer Paul Dano has put together an engaging story of a family and how they cope with life’s ups and downs. When things get really bad, Joe contemplates running away. 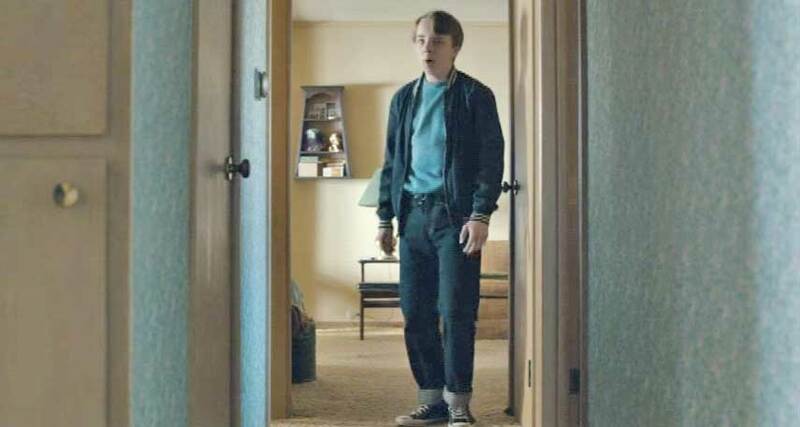 Ed Oxenbould in his role as Joe Brinson, wears black high top chucks throughout the film. 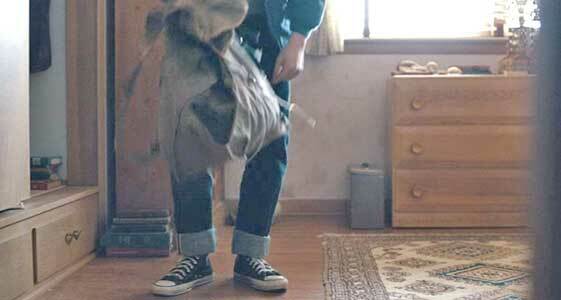 They are a part of his everyday wear along with blue jeans and tee shirts, and we see them in most of his scenes. They represent comfort and normalcy in his life which gradually is taken away by the actions of his parents. We see them best during scenes at his home. Joe is bewildered by the actions of his parents. Wildlife. (2018) Ed Oxenbould, Jake Gyllenhaal, Carey Mulligan, Bill Camp, Zoe Margaret Colletti. Co-written and directed by Paul Dano.